According to the American Heart Association (AHA), basic life support (BLS) is the foundation of saving a person’s life in the case of cardiac arrest or in other instances that necessitate the administration of CPR. AHA issues guidelines and updates them on a regular basis to ensure the provision of reliable basic life support in such stressful circumstances. SoCal Mobile CPR offers American Heart Association BLS certification opportunities. The CPR course is tailored to the needs of various healthcare professionals and it covers a number of essential concepts/processes that will make a difference in a life or death situation. American Heart Association BLS certification programs need to cover a number of essentials to equip participants with the knowledge and the practical skills required to save lives. BLS training is different from CPR programs because it’s typically tailored to the needs of professionals who already have some experience in the medical field – registered nurses, MDs, EMTs, dentists, pharmacists, etc. Usually, BLS programs that are administered under the AHA guidelines take a deeper look at the topics that will be covered in basic CPR training classes. The primary audience for such programs does not consist of amateurs who want to learn the basics of CPR. AHA BLS training is tailored to the needs of healthcare service providers who have a duty to act in the event of an emergency and who should have life-saving skills (whether these are administered in hospital settings or in the case of real world emergencies). Such CPR classes tend to have both theoretical and practical components. Basic life support techniques need to be practiced in order to be administered properly. When looking for a certification program, it’s very important to opt for an opportunity that features training sessions and practical exercises aimed at mastering the different techniques. 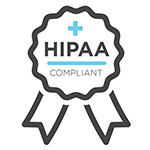 At SoCal Mobile CPR, we offer reliable and comprehensive AHA BLS certification opportunities. Southern California Mobile CPR offers hands-on training following the latest AHA guidelines. 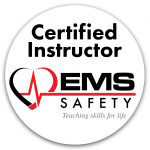 All of our instructors have real world experience in the field of providing BLS, which gives students a full range of knowledge and comprehensive understanding of the different techniques. 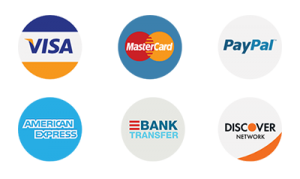 All of the classes are offered at a location of your choice. At SoCal Mobile CPR, we believe that the selection of the right learning environment and flexibility are two of the keys to the successful completion of a program. Hence, we offer customization options that make it possible to participate in the class even if you have a hectic professional schedule. 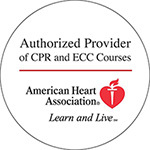 The American Heart Association BLS training for healthcare providers comes with two-year certification upon completion. If you want to find out more about what the AHA BLS training entails, contact us today via the website form or give us a call at (951) 444-5049. People pursue BLS training and certification for many reasons. One of the biggest advantages of such training is that it teaches the skills medical professionals need to be prepared and ready to address all kinds of situations. People who know basic life support have the skills to take action in life-threatening and serious situations. Through the completion of BLS training, a person will learn how to provide assistance even out of medical settings – in a restaurant, during grocery shopping, on a trip away from home. Having a BLS certificate also makes it easier to discover more lucrative and promising professional opportunities. If you want to establish a solid healthcare field career, you should definitely consider AHA BLS programs. As the Western population is aging and becoming more susceptible to chronic and life-threatening conditions, the need for properly trained professionals will continue to grow. Participating in such a program right now means investing in your professional future and giving yourself a chance to climb the career hierarchy ladder. To fully benefit from such a training program, however, you will have to select the right course provider. SoCal Mobile CPR’s model is unique and we don’t make a compromise with the quality of our classes. Administered by experienced professionals, our programs result in the acquisition of extensive knowledge that can be career-defining. If you have questions about our AHA BLS program or you’d like to enroll in a class, give us a call right now at (951) 444-5049.